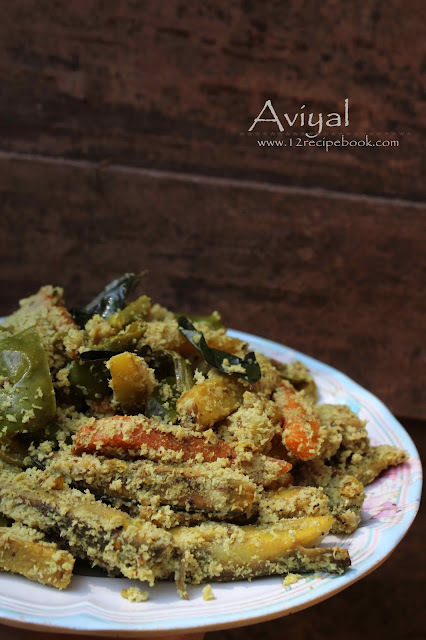 Checkout the video of making Aviyal to ease your cooking. 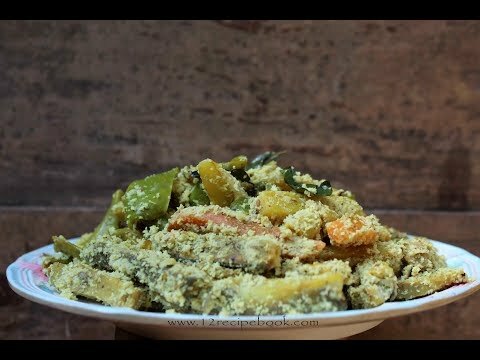 Also please don't forget to Subscribe my You Tube channel : "12recipebook"
Aviyal is a South Indian dish prepared using mixed vegetables. One can use as many vegetables that they get (avoid beetroot, lady's finger, bitter gourd etc. as they ruin other vegetables color, taste, and texture). It is an essential dish in Kerala Onam Sadhya menu. Cut all the vegetables in finger long strips of equal size. 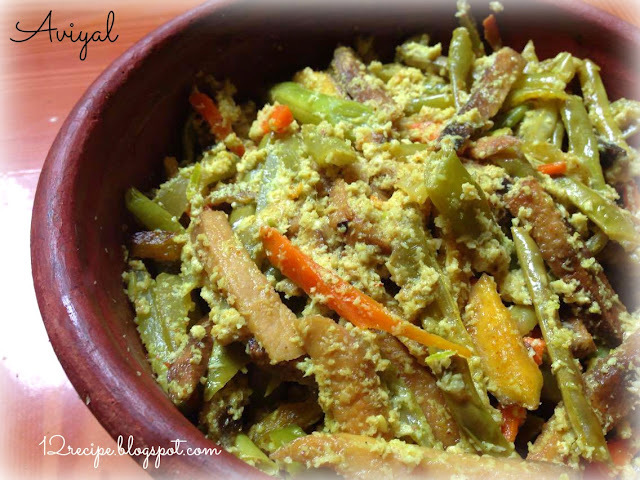 Cooks it on a pan by adding turmeric powder, 3 to 4 tbsp's of water. (cook covered for about 15 minutes the vegetables are cooked, but not mashed, stir occasionally). In a grinder add coconut grated, cumin seeds and green chilly. 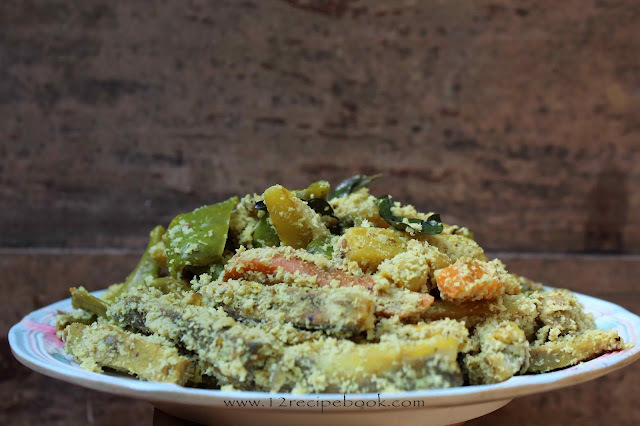 Ground it in to coarse and add it in to the cooked vegetables along with curd and salt. Mix well for a minute and switch off the flame. Sprinkle a teaspoon of fresh coconut oil and curry leaves on top.